The 2-8-0 Consolidation wheel arrangement for steam locomotives was one of the most widely used and copied variants of steam motive power because its attributes made it an excellent choice for mainline, branch, freight and even passenger work. First appearing on the Lehigh Valley in 1866, 2-8-0s continued in service well into the 1950s with the Pennsylvania the leading user of all railroads. The Pennsy created seven classes of Consolidations with the earliest being the 1885 H-3. These 50 inch driver locomotives were the first Pennsylvania steam locomotives to utilize the road's trademark Belpaire firebox. Hundreds were built over a ten year span and were utilized in all levels of service before being replaced with the more common fat boilers of Pennsy's H-4 thru H-10 series of consols. 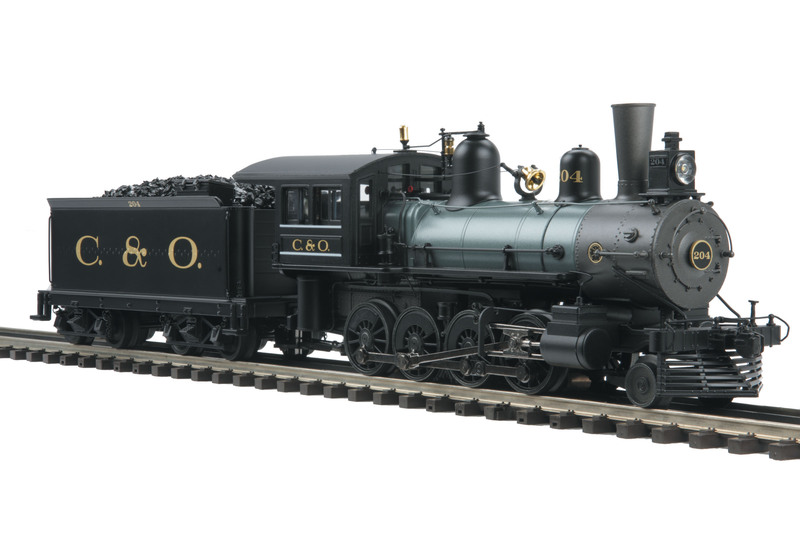 This small and diminutive 2-8-0 is the perfect choice for modelers looking for a scale proportioned 19th century steam locomotive. Intricately detailed and outfitted with the power and performance of Proto-Sound 2.0, the M.T.H. Pennsylvania H-3 is equipped with synchronized puffing smoke, Proto-Speed control for incredible slow speed action and the hobby's largest variety of prototypical steam engine sounds. The last H-3, No. 1187, was discovered in a stone quarry and reclaimed for restoration by the Pennsylvania. It was displayed at the 1939-40 New York World's Fair and now resides in the Pennsylvania Railroad Museum. Unit Measures:15 3/4" x 2 3/8" x 3 3/4"